Check out PART THREE of my exclusive investigation with The Guardian’s Ben Doherty on the continued detention of Egyptian asylum seeker Sayed Abdellatif, with added behind the scenes information. PART TWO ‘Morrison’s last stand’ and PART ONE ‘Who’s afraid of Sayed Abdellatif?‘ published earlier this week, can be found here and here. 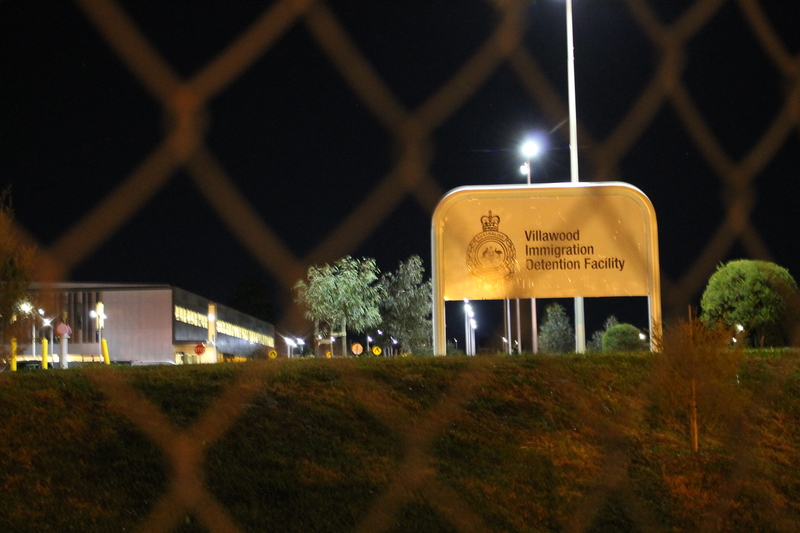 Over the last few weeks I have been making the journey to Villawood detention centre, in Sydney’s south-west. After navigating forms and metal detectors I am tagged with a bright wristband and invisible ink and ushered inside. Once inside, I have spent hours talking to Abdellatif, his wife and six children inside the secure facility. For the first time ever, they speak candidly in person, about their experiences in detention and their journey to Australia. Sydney’s Villawood detention centre. Picture: Flickr/.M. Sayed Abdellatif’s son is celebrating his 12th birthday. On a low table, plates are piled with homemade cake and colourful chunks of pomegranate, mango and kiwifruit. The birthday boy wears sneakers and jeans. He talks loudly to his sisters and brother and mum in a broad Australian accent. The treats are offered around, and happily accepted. It could be any party, anywhere, save for the fluorescent bands on everybody’s wrists. The Abdellatif children are visiting their dad in a separate room just off the central visitors’ section of Sydney’s Villawood detention centre. The whole family are detainees, and their father is considered by Australian authorities to be an extreme security risk, “plainly a dangerous terrorist” in the words of the attorney general George Brandis. Abdellatif denies the charges, which Interpol have found not to be true. Outside the small room used by families like the Abdellatifs, the visitors’ area is packed, as it is every Sunday. Reunited couples nuzzle in corners. Family members, friends and refugee advocates greet inmates with hugs and precious supplies from the outside. Coffee, chocolate biscuits, and food in plastic containers that have survived the metal detectors line the tables. There are no phones or cameras allowed. Outside, Villawood is being renovated – the byzantine centre is a maze of gravel paths and patches of barren land cordoned off for expansion. 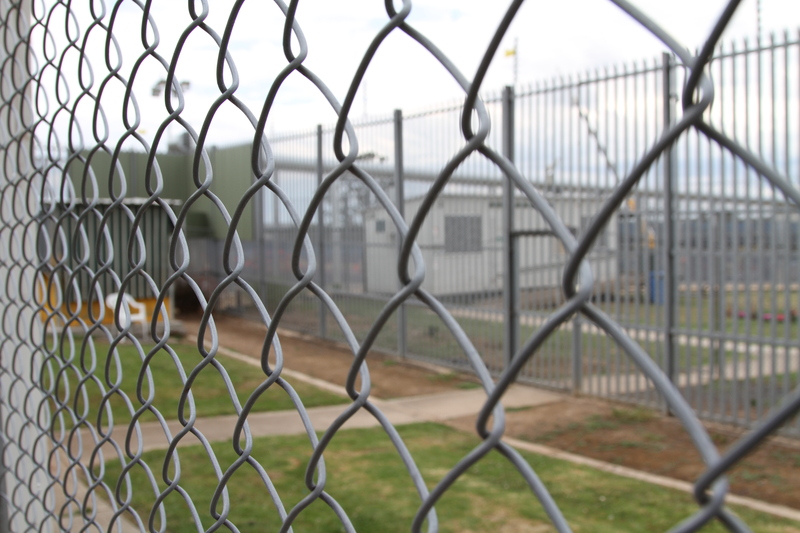 Beyond that is the wire – the imposing metal fence that surrounds Villawood, the boundary that separates it from the outside world. Further still there is Sydney. And at the centre of these concentric circles, behind the unknowable rings of security, sits Sayed Abdellatif. Weary from 18 years in exile, two and a half of those in the confused haze of the Australian immigration detention system, he explains why he has chosen to talk. Abdellatif’s story is that of a lifetime in exile. The 44-year-old Egyptian has not lived in his home country since 1992. His children have known only lives in the shadows of societies all over the world, or trapped in detention. Abdellatif left Egypt for Albania in 1992. There he worked for a civil society organisation called the Revival of Islamic Heritage Society (RIHS). He met and married his wife in Albania. His eldest daughter was born there in 1995. But the family was forced to flee in 1997, after a civil uprising toppled the government and plunged the country into an economic crisis. Three more children were born in the UK – in 1997, 1998 and 2000 – before the Abdellatifs were forced out to Iran in 2001. Their son, the boy who celebrates his birthday in detention today, was born in Iran in 2003. In Iran the family were arrested as illegal immigrants. They lived for a time in an Iraqi refugee camp before spending years under house arrest. In May 2010, an Iraqi people smuggler moved the family through Malaysia and Indonesia, in the hope of taking them back to the UK. They were stopped in Singapore and deported back to Indonesia. The family spent four months in detention and had two interviews with UNHCR officers, before spending two years in the refugee “queue” waiting for a determination on their status. The family’s youngest child, a boy, was born in Indonesia in 2010. The family spent long months, as thousands across the Indonesian archipelago do, waiting for a refugee determination. “Then we lost hope,” says Abdellatif. Running out of money, he says, with no answer forthcoming from the overrun refugee agency, the family made a decision to find a boat bound for Australia. As Abdellatif speaks, his four daughters sit, wearing neat hijabs, next to their bespectacled mother. His two boys, 12 and four, stomp noisily in and out of the glass-panelled room. The children are allowed to leave the Villawood compound to attend school. The girls go to the local high school nearby. The two eldest, 19 and 17, will sit the HSC this year. They walk to school under guard each day. One daughter says it is difficult to explain the toll detention has had on her family during the many years in the UK, Iran and Indonesia. “We already lost so many years of our life … it just feels like it’s going on forever. I’ve lived more than half my life in detention,” she says. The demands of school make regular visits difficult. The Abdellatif family’s detention in Australia began unexceptionally. 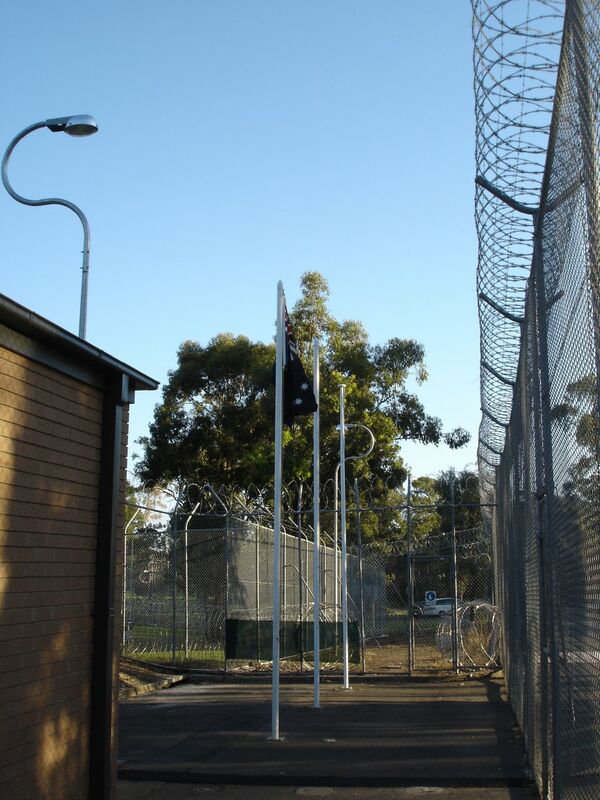 Housed in the low-security Inverbrackie detention centre in South Australia, they awaited release into the community after an Asio recommendation they be allowed to leave detention (a decision the spy agency has since recanted as a “processing error”, the first in a litany of government mistakes in the case). But the family’s situation was cast into sudden national prominence in April 2013, when it was discovered Sayed Abdellatif was the subject of an Interpol “red notice” for murder and firearms charges in his home country. The Abbott-led Coalition, then in opposition, used the case to lambast the Gillard government’s handling of border security. Labelling Abdellatif a “pool fence terrorist”, Abbott said the government had failed to notice that a “convicted jihadist terrorist was kept for almost 12 months behind a pool fence”. Abdellatif says he first became aware of the firearm and murder convictions against him through the media. “My name become in the media … (it was) huge, huge propaganda. I was shocked at that time,” he says, adding that he was given little information about why he was transferred to Villawood’s high-security Blaxland compound. Although he was later transferred to a medium-security area within Villawood, he remains separated from his family, who live in the family compound. They have declined an offer from immigration to be removed into the community because they don’t want to be separated from their father. The Abdellatifs live divided. Half-lives, neither in Australia nor out. They cannot be deported because of the real risk of persecution in Egypt, but by ministerial decree they are unable to apply for a visa. The Abdellatif case took a dramatic turn in June 2013 after an investigation by the Guardian, in both Egypt and Australia, resulted in the violence-related convictions against Abdellatif being quashed. Abdellatif had been convicted in an Egyptian military court, in a 1999 mass trial of 107 men, of premeditated murder, destruction of property and possession of firearms and explosives. The Guardian contacted the Egyptian authorities following interviews with Abdellatif’s lawyers and verified court documents that showed his convictions made no mention of murder or explosives possession. As a result, Interpol took the extremely rare step of removing all charges relating to violence from their red notice list. A red notice on Abdellatif’s name still exists. It now lists convictions for “membership in a terrorist group” and “providing forged travel documents”, charges Abdellatif strenuously denies. Abdellatif’s only other purported “link” with terrorism was his employment by the Albanian branch of the Revival of Islamic Heritage Society. This was mentioned at his 1999 trial, but was not part of his conviction. Abdellatif worked for RIHS, a multi-national Islamic civil society organisation, between 1992 and 1996. It was later infiltrated by al-Qaida and outlawed by the UN. Abdellatif claims the Albanian branch was “clear” when he worked there and he never had any involvement in organising or funding terrorism. Abdellatif also denies ever forging documents. Now new documents, subsequently submitted to Egypt’s supreme military court, and provided to the Australian government more than 12 months ago, state that the evidence used to convict Abdellatif was obtained under torture. The State Security Investigations Service, the principal domestic security and intelligence agency of the Mubarak regime, which conducted the investigation, was dissolved in 2011, after evidence emerged it was involved in “extraordinary rendition”, and tools of torture and secret cells were uncovered at its headquarters. In 2012, the court re-tried seven of the original 107 convicted men. All seven were acquitted, the court finding the evidence used in the original convictions was obtained under torture. “The court, having verified the claim documents, hearing witnesses for and against the prosecution, and comparing the crime and innocence evidence … it seems that the claim and accusations against those accused are surrounded by thick layers of doubt and suspicion that weakens the evidence derived therefrom,” the court ruling says. Abdellatif says these documents were passed to the immigration department, the AFP and Asio in December 2013. “Every government will understand this trial is a political trial. This trial had 107 accused. We don’t know each other. We never met with each other.” He says confessions were extracted under torture and played off against each other. But the new evidence, he says, has not moved his case forward. “Every time we give them [Australian authorities] new evidence the reaction is punishment. The Australian Federal Police told Guardian Australia it did not make recommendations on immigration matters, and that the extent of its inquiries into Abdellatif were to establish his identity. “The information contained in the Interpol Red Notice and any investigation into these allegations is a matter for the Egyptian authorities,” the AFP said. The AFP said other inquiries regarding Abdellatif’s status should be directed to the Australian Security Intelligence Organisation. Asio refused to answer questions about Abdellatif. The Abdellatifs say they declined because they do not want to be separated from their husband and father. And regardless of where they are housed, Abdellatif’s family cannot – and unless the minister’s decision is overturned, can never – apply for a visa. One of his older daughters translates the difficult English phrases into Arabic for him. She breaks down in tears as she talks about the difficulties of being separated from her dad. Abdellatif watches on silently. The breakdown in composure and the language difficulties compound his powerlessness. His daughters are teenagers still, but burdened with adult realities. “After what happened to us in Australia we are very disappointed,” he says. Abdellatif suffers Crohn’s disease, an inflammatory bowel condition, and he has twice gone on hunger strike in detention. “When I become frustrated or angry my Crohn’s disease becomes very active and painful,” he says. “I can’t sleep. I can’t sit on the chair.” He says he has suffered bleeding and weight loss in detention, and his family worries for his health. One of his daughters speaks. She says the effect of the family’s experiences in detention has been compounded by the expectation that life in Australia would be different. From Villawood’s less-regimented family compound, his wife and children make regular visits to see their father and husband. They all feel trapped by their father’s legal limbo. For the Abdellatif children, a future of apparently-endless detention is a bleak uncertainty. They struggle for the smallest normalities. At school, the girls are often invited out to parties. They can never go, or even explain why. The girls studying for their HSC have to compete with 40 other detainees for access to three computers for their one hour of daily internet time. It makes studying and finishing assignments difficult. A younger sister says detention is “like being trapped in a place where you can’t see anything … like a blank page”. And another says the impact of being separated from their father is fraying their own relationships. Sometimes her siblings will sullenly withdraw, retreating to rooms and refusing to talk. Or they’ll fight with each other and scream. Her life is a carefully-circumscribed existence, of wristbands and metal detectors, of visiting hours and security details following her to school. This article originally appeared in the Guardian on 18/2/15.